A HUGE thanks goes out to our sponsors! They are what makes this contest possible, and we are truly fortunate to have their donations and support. Below, you’ll find a link to each one of our sponsors’ websites! 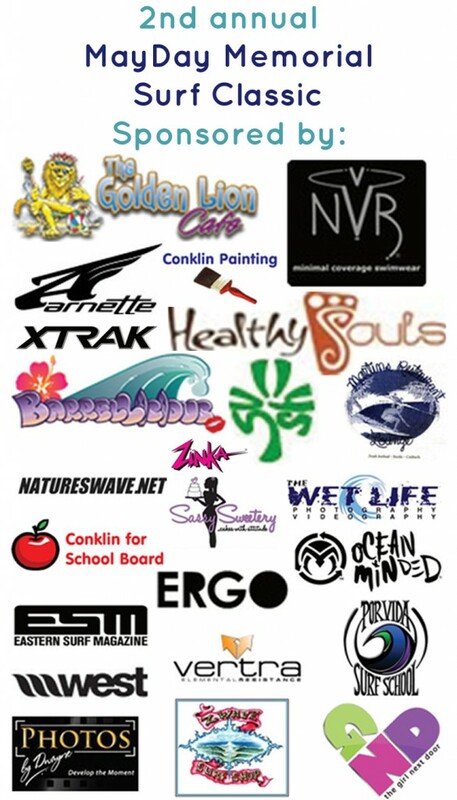 Please thank our sponsors by supporting them in return! *If you are interested in becoming a sponsor of the 2013 MayDay Memorial Surf Classic, please contact contest director, Haley Watson.